Pöyry’s Head of Biofutures, Petri Vasara, calls for a recarbonisation revolution of global material flows by increasing biomass materials over non-renewable ones in the movement of global trade. The world needs a ‘recarbonisation revolution’ of global material flows. We have to increase biomass and decrease non-renewable materials such as metals and minerals in the movement of global trade. Recarbonisation also means going from fossil carbon to biocarbon. The recarbonisation revolution gives us a simple way to define the bioeconomy: recarbonise materials, decarbonise energy. With the profound concern over climate change, the terms ‘decarbonisation’ and ‘low carbon economy’ have become so popular that a key truth has been forgotten - carbon is the basis of life. It is only in energy that we need to get away from fossil-based carbon as a fuel. In materials, we need carbon in the form of biomass to create a truly renewable and sustainable loop. Imagine a solution where we recarbonise just 1% of the market of some key global material flows. The packaging market in 2013 was worth 590 billion Euros. Plastics and fibre are about even, with 220 and 215 billion Euros in turnover respectively. Moving 1% of the packaging market from fossil plastics to biopackaging equates to 6 billion Euros in turnover. With plastics we deal with about 300 million tons. Moving 1% from fossil plastics to bioplastics would mean about 3.5 billion Euros of new biobusiness. Now imagine that we can take 1% of the global volume of fossil fuels and substitute it with biomass, and process that biomass further in the forest industry – this means a green recarbonisation of a part of the world’s materials flows. That would give roughly 30 billion Euros of annual new biobusiness. In all, these three 1% substitutions would give about 40 billion Euros per annum of new sustainable bioeconomy. The calculations above can be debated of course, but they are indicative of the potential size of the opportunity. New developments in technology and materials sciences have made this revolution both possible and desirable. Four material platforms stand out as examples of the possibilities we can achieve with recarbonisation: lignin, sugar, nanocellulose and graphene. The first three are carbon-based and graphene is actually pure carbon. Together they have the potential to radically change the materials world. Lignin is nothing new, on the contrary it is a basic component of wood (approximately 20-30%); globally the forest industry produces about 50 million tons a year. It is a problem for pulping and has ended up in the lowest value end use as energy. Modern pulp mills are biobased power plants, producing a considerable surplus of energy. Taking out lignin increases pulp production and opens up side streams from energy to resins. In the surprisingly near future, high-value applications such as chemicals and carbon fibre are also possible. Sugars are more than the white processed variant that is unhealthy and used in fizzy drinks. Sugar is the collective name for a large group of soluble carbohydrates, which can serve as the building blocks for the most varied chemicals and materials. Hemicellulose, another basic component of wood (20-30%), is an example of a platform from which to derive sugars. 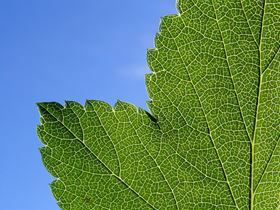 Nanocellulose is actually as familiar as the first two – but previously scientists never saw it. It is cellulose (a third component of wood, compromising 40-45%) processed down to small fibres (or fibrils) and crystals of very small size. Nanoscale cellulose can react, bind, and create many new applications, in areas as diverse as pulp and electronics. Graphene is something we can all produce and use. We write with lead (i.e. graphite) pencils on paper. If you put some sticky tape on the paper and take it away, on the tape you will have graphene - carbon as a 2D matrix, one atom thick. On an industrial scale, this is not the best method, but the number and frequency of reported new graphene uses and discoveries is astonishing. Graphene is being tested to make things stronger, flexible, more conductive to heat and power, and almost everything else you can imagine. It is about 200 times stronger than steel, proportional to its weight, and more conductive than copper. Interesting things happen when the four substances above are mixed with each other and/or other materials into biocomposites. As an indication of the growing market for value added composites, where the old Airbus A340 consisted of about 10% composites, the new A350 is made of more than 50%. Global brands such as IKEA, Lego, Toyota, Procter & Gamble, Coca-Cola, Heinz, and Ford have their own reasons for pushing biomaterials. Sometimes it is a functional or cost-related decision - biocomponents in cars weigh and cost less than metal, for example. Sometimes it is a question of brand image. Since nobody is quite in their comfort zone, and alliances across sectors are not yet the norm, a transformation of the value chain must and is taking place. It seems that very few want to go it alone; most want to find partners and build knowhow through alliances. The challenges of shaping a new value chain with many complex materials, competing technologies and consumer demands are considerable. No revolution is easy, and the ‘recarbonisation revolution’ is no exception. However, we are all now fortunate to be part of the process, able to at least partly influence what is going to happen. There is room for many winners in the recarbonisation revolution. So is recarbonisation just too good to be true? There is always hype and surprisingly many miracle cures turn out to be worse than the disease which means we must also be careful with recarbonisation. The figures provided here are just indications of potential outcomes. Likewise, biobased solutions are in many cases still far from competitive with fossil-based solutions. However, there are very strong foundations for recarbonisation. As we have shown the business is already underway in some sectors and is being further encouraged by brands. Recarbonisation is natural, based on either existing creations of nature, such as lignin, sugars, graphene and nanocellulose, or the processing of such materials. We know that the loop works or can be made to work. We understand a great deal of the environmental benefits. All things considered, the case for recarbonisation is certainly compelling.